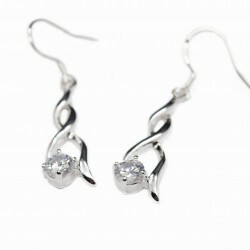 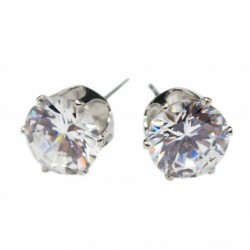 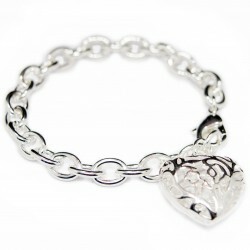 These fashion silver dangle earrings are affordable and can be found on the best discount jewellery website. These earrings are composed of two intertwined silver rods on which a white gem is attached. 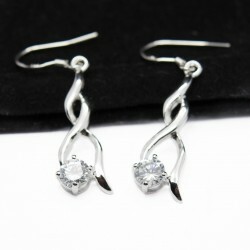 This style of dangle earrings can be worn with any clothing style and will be ideal for any occasion. 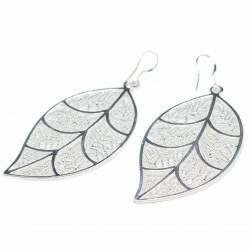 For an evening out or a classy event, or even for the workplace, these beautiful pieces of jewellery are sure to get you noticed. 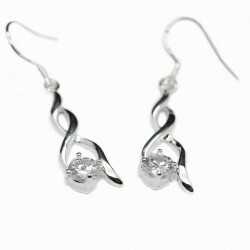 With the purchase of these dangle earrings, you will earn loyalty points.